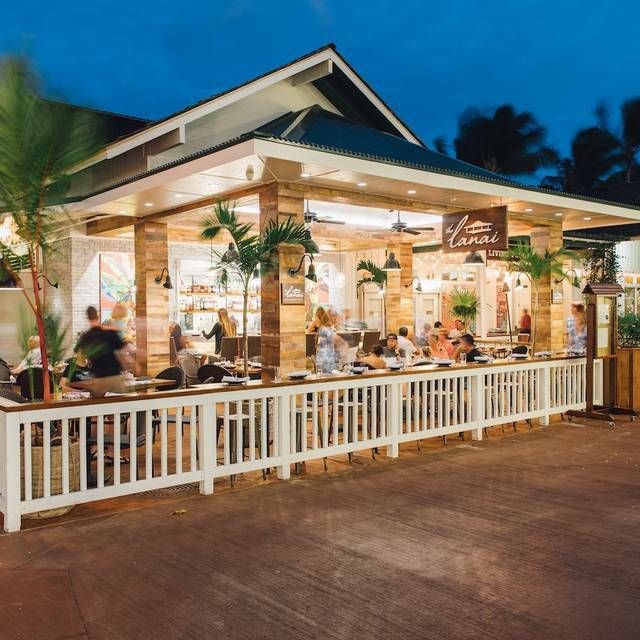 The Lanai is located at The Shops at Kukui’ula, and is adjacent to Living Foods Gourmet Market and Cafe. Please turn right into the shopping center and park on the north side of the lot. Walk into the shopping center and The Lanai will be on your left. 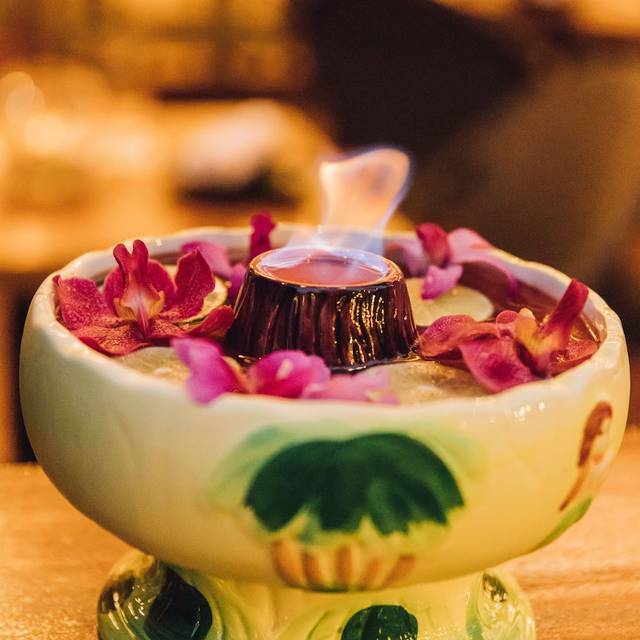 Tucked into the Shops at Kukui'ula, The Lanai is Poipu's newest bar and restaurant experience. 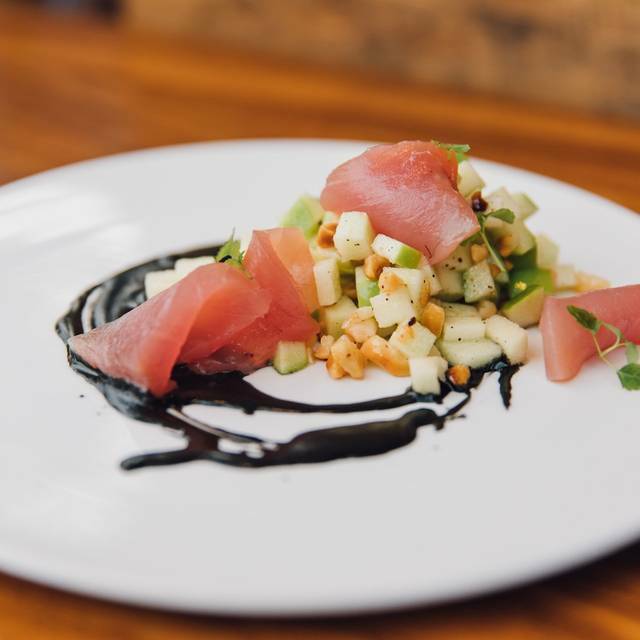 Our chefs strive to bring quality and sophistication to the laid-back island lifestyle. 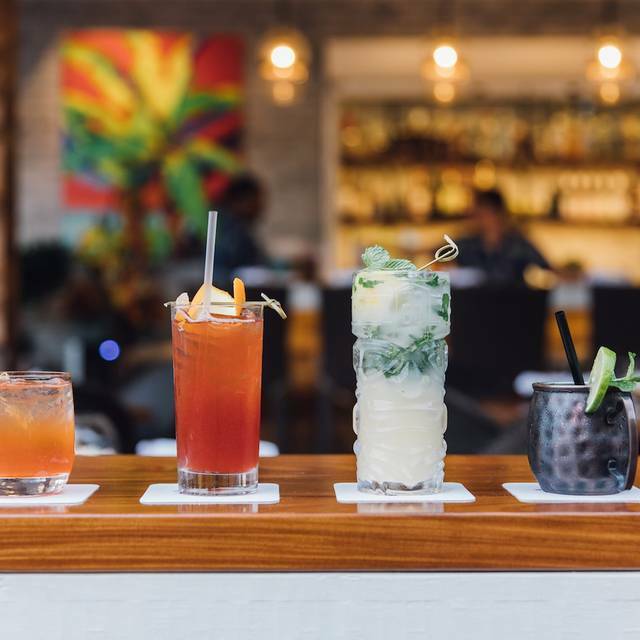 Join for daily happy hour, lunch, dinner, or come by to share a drink. Good service, Pricey but good portions. Open air dining was nice but Didn’t like that we had to use the shopping mall bathroom outside of the restaurant, and didn’t have any view besides store fronts. Amazing food and ambiance once again. Love going there. Delicious food with healthy selections—would absolutely go back! One of our favorite places we dined while in Koloa. Great place. We had the vegan harvest which was delicious! Also had the hummus to starry which was delicious. Great service. Definitely recommend. Great service, very personable staff. Drinks and food was done real nice. Love the new menu! Great presentation. Cocktail list is perfect a little bit of everything. Nice wine selection. The pork belly pupu is delicious. Vegan option outstanding. Loco moco variation is mouthwatering. One word describes the experience: underwhelming. Should have gone elsewhere where locals eat. Food was incredible! Service was very friendly and efficient, but a wee bit fast - we were served our food very quickly and felt rushed. We were only in the restaurant for about 45 minutes, start to finish; I don’t mind paying the price for such excellent food, but would have appreciated feeling like we could have lingered over our wine. We didn’t have to wait for a table on a busy Thursday night. We were served right away . The server was attentive and nice. My husband ordered the short ribs which was great and the perfect size. I ordered the shrimp which was great as well. Dishes were presented nicely. The ambience was ok: nothing super but comfortable. A nice place if you just want something not too big, served attractively with great flavors. Marky our server was excellent. Molokai mule was refreshing. 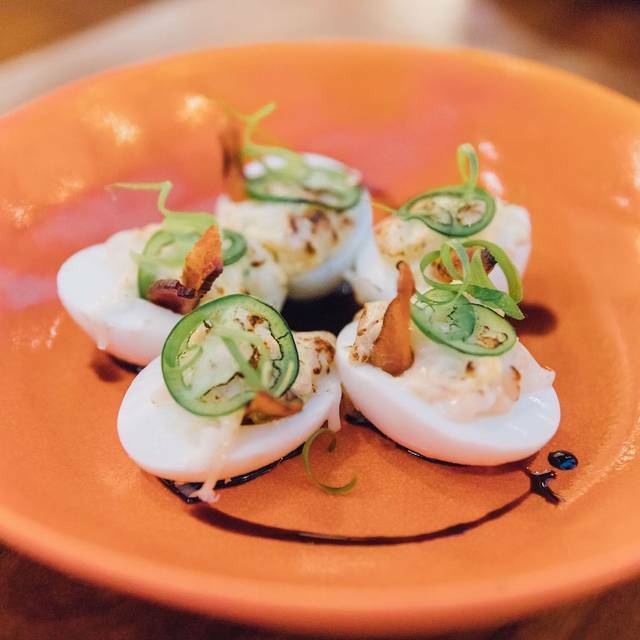 Deviled eggs for app, along with shrimp and pork belly were delicious. 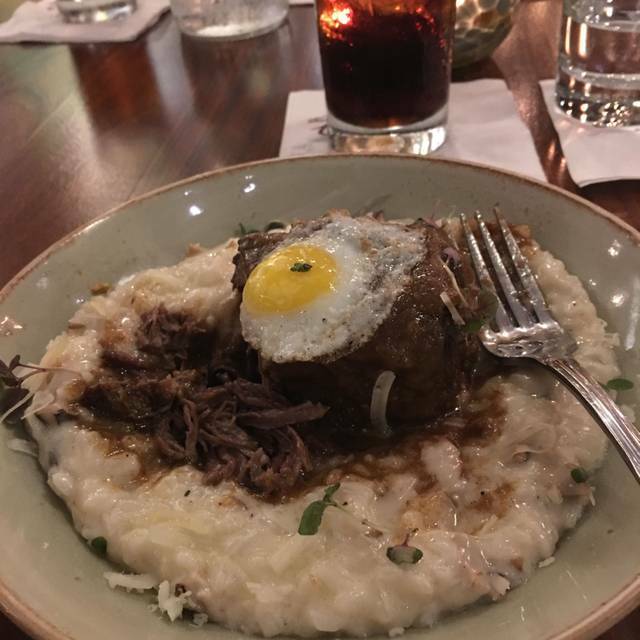 Short ribs over risotto for main was outstanding. Food and service both excellent in a relaxed al fresco setting. Excellent food. I had shrimp mojo, my husband had the steak. Both very flavorful. Have to mention the crispy Brussel Sprouts, which are just delicious. Very good service. Wine was expensive, but that's how it goes. Food was delicious and service was prompt and friendly. I would recommend this to anyone. Overall the experience was very good. I was surprised we couldn't really order bread with dinner, other than pita. Also, the dessert menu was very limited to only one item, cheesecake. Our server was very enthusiastic and welcoming and made sure we got our appetizer order in just before happy hour pricing (half price!) was over. The food was very good, we especially loved the perfectly crispy Brussels sprouts, would come back again just for those! The outdoor but well covered patio was nice and comfortable even in the heavy rain. We will definitely be back to the Lanai! Best Caesar salad dressing and best bartender, Kern. He has won competitions on serving up drinks and you can tell. If you like bourbon, and Old Fashioneds, they carry Blanton’s and Kern serves it up with traditional luxardo type cherries as well as muttled orange peel. On 2nd drink of the same, he added fresh thyme and was fantastic!! Nice friendly server. Dinner was good too. We ordered the lemongrass mahi-mahi and seafood soup. Suffice it to say there are enough other places in the area that are far better choices. I have a pretty simple dietary need (no alcohol in my food), the waitress said I should tell her what I was interested in and she would check with the chef. After 3 times back and forth, she said the only option was steak, this even included most appetizers! After I said I just would get a salad she said they could do a grilled fish. Why wasn't that suggested to start with? Best is no corkage if you buy wine in the market next door. We had a lovely light dinner at Lanai. We purchased a bottle of wine at Living Foods (so no corkage fee at Lanai), and ordered the Chacuterie plate and the cheese plate for a lovely dinner. The food was good, but could have been better for the price. Some of the flavors were completely overpowering the food instead of complimenting it. The greens in my salad were completely beat up and didn’t seem fresh. The service was excellent and the drinks were really good. I would definitely go back for a drink but might skip the food next time. The Lanai has been a fine addition to the Poipu dining scene. They pay attention to the origins of the food they serve (this is a project of Living Foods). I especially like the nice variety of pupus offered. We have made a dinner of a salad and pupus many times. The entrees are also arty good, but the pupus are more inventive. An excellent choice for a quality lunch and dinner at a more moderate price point. The Lanai is affiliated with Living Foods. You can buy a bottle of wine at Living Foods and the restaurant will waive the corkage fee. I find their pupus and salads more interesting than the entrees, so often order only from those portions of the menu. The entrees are good, just not as interesting as the pupus. Service is earnest if not always as attentive as they might be. Pleasant atmosphere. Good service. The roasted chicken was very well done. Delicious. Worth the trip. Of the physically larger options in the area. The Lanai is the optioned I’d choose to return to. Seafoood platter is discontinued. Expensive for what we ordered. Sat next to the entrance on a slanted small table. The next table was so close the diner behind me kept banging my chair. There were four of us and I enjoyed my meal. The Brussels were very good, definitely get an order of them. The cheicken dish was delicious and my husband loved the short ribs. My son didn’t care for the fish in coconut milk, it was very unusual. Overall, I would definitely give it a try!! I enjoyed my meal very much. Really good food and good service. But you must reservation for a table. The food was mediocre. Had high hopes given reviews from others but really fell flat for me. Glad to have a vegan option - and an interesting, tasty one at that. Would love it if they had more than just one so that I could have something different when I go back. Maybe a pasta? But stuffed squash with green curry sauce is nice and also pretty. The Lanai is my favorite restaurant on the Island. Very fresh food. Great presentation. Never fails to impress. Food was unimpressive and overpriced. The miso chowder was cloyingly sweet, while the shrimp and grits were watery and a gut bomb.